2016 will be the 80th anniversary of the maiden voyage of one of the greatest of all ocean liners. The QUEEN MARY, constructed in the 1930s, sailed until 1967 and today lives on as a museum & hotel in southern California, is also one of the most famous ocean liners of all time. She was also heroic, serving valiantly in wartime, and altogether crossed the Atlantic more than 1000 times. Also, she was beloved - favored by passengers and crew alike. Hollywood stars, as another example, just preferred the QUEEN MARY. She had an undefinable chemistry—"Something in the woodwork that embraced everyone," according to one staff member. She was also part of Cunard, perhaps the most famous shipping line on the Atlantic. Along with a history of the QUEEN MARY, this book will look at her running-mate, the QUEEN ELIZABETH, as well as the subsequent QUEENS—the QE2 and the current day QUEEN MARY 2, QUEEN VICTORIA & QUEEN ELIZABETH. This book will be a salute to the QUEEN MARY, but also to the great QUEENS and to Cunard itself. 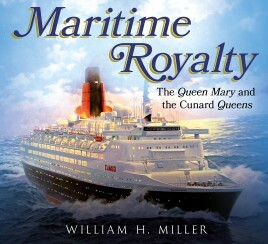 Known as "Mr Ocean Liner," Bill Miller has written over 80 books about passenger ships. He has covered the liners large and small, in war and peace, and as collectibles and in post card form. 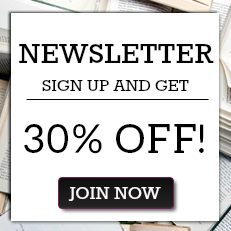 Miller has also penned ovrer 1000 articles about ships and sea travel. He has been a popular guest lecturer aboard such liners as the QE2, QUEEN MARY 2, ROTTERDAM & CRYSTAL SERENITY for over 30 years. Born in Hoboken, New Jersey, just across from the great liner piers of New York City, Miller has appeared in numerous TV documentaries, & news programs and himself has been the subject of a 60-min documentary called "Mr Ocean Liner". Miller has been the recipient of numerous maritime awards.